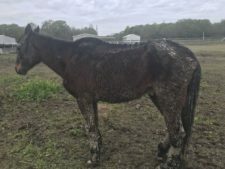 While investigating loose horses on Charlie Arceneaux Road near Rayne, deputies with the Acadia Parish Sheriff’s Office discovered horses which were being neglected. 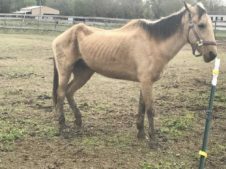 As deputies began their investigation, they discovered 9 horses which were not being maintained by the owner. 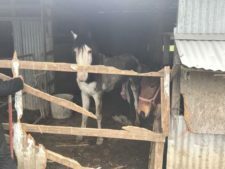 Several horses broke through fencing as others were pinned inside of a barn. These animals were not being cared for and showed significant weight loss as their ribs and backbone being visibly observed. There was no feed out for these animals and there were signs of the animals chewing on the wooden gate which was keeping the in the barn, to free themselves from the barn. Several horses showed signs of possible infections. With the assistance of the St. Landry Parish Sheriff’s Office and the Acadia Parish Animal Control Officer, the 9 horses were recovered and removed from the property. These animals were transported to a care facility in St. Landry Parish. Arrested was Tramaine Marks, 24 of Church Point. 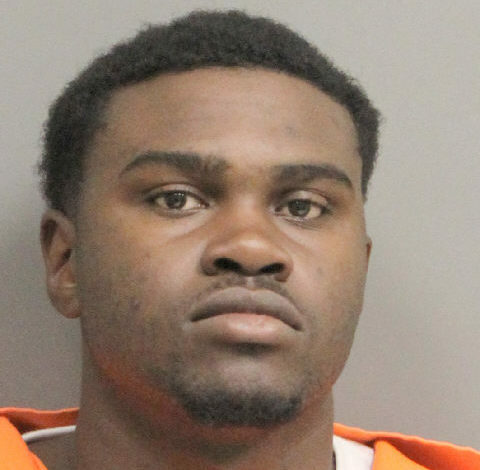 Marks was booked into the Acadia Parish Jail on 9 counts of Aggravated Cruelty to Animals and 3 counts of Livestock at Large.